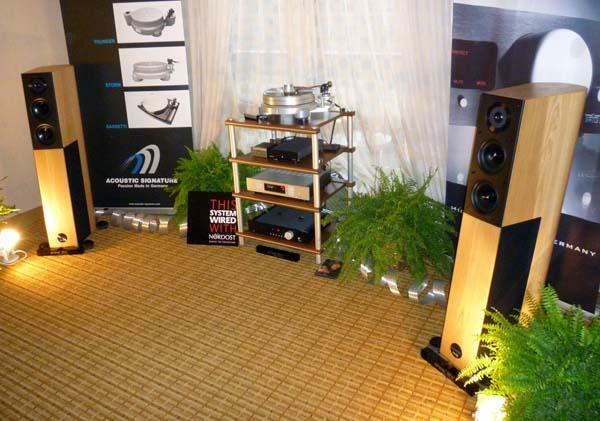 In a much smaller room next door to GTT Audio's main suite, YG Acoustics’ Carmel loudspeakers ($18,000/pair) were driven by a Devialet D-Premier integrated amplifier/DAC ($16,999). 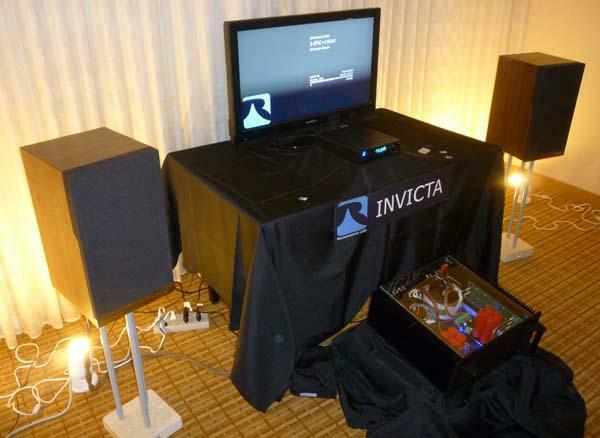 Source components were Bryston’s BDP-1 digital media player ($2250) and PS Audio’s Perfect Wave Transport ($3000). Cables were Kubala-Sosna’s Emotion. In addition to the Long Valley Pub & Brewery and Valley Shepherd Creamery, here’s one more reason to visit Long Valley, NJ: GTT Audio & Video, carrying YG Acoustics, Tenor Audio, Soulution, Kubala-Sosna, Bryston, and many other respected brands. 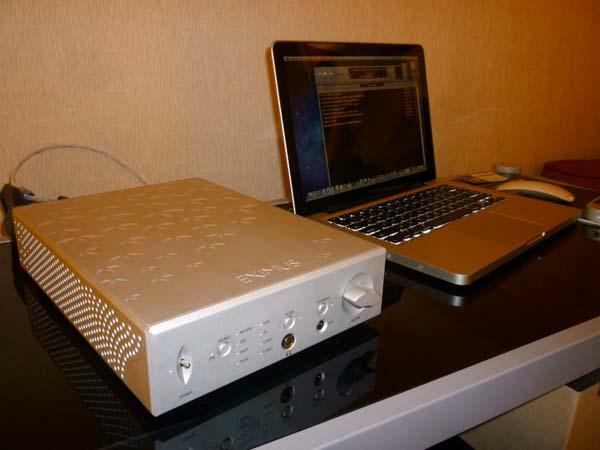 April Music presented the new Eximus DP1 DAC-preamplifier ($2995), which offers six digital inputs, including USB 2.0; two analog inputs, including a front-panel Aux; three analog outputs, including a front-panel headphone jack; and supports resolutions up to 24-bit/192kHz. I’ve grown used to hearing good sound in rooms occupied by Joseph Audio loudspeakers and this was no exception. We had a toe-tapping, hip-shaking, good time in here. The system was locked in a deep and heavy groove, sounding dynamic, fun, lively, and totally listenable. Yes, listenable. 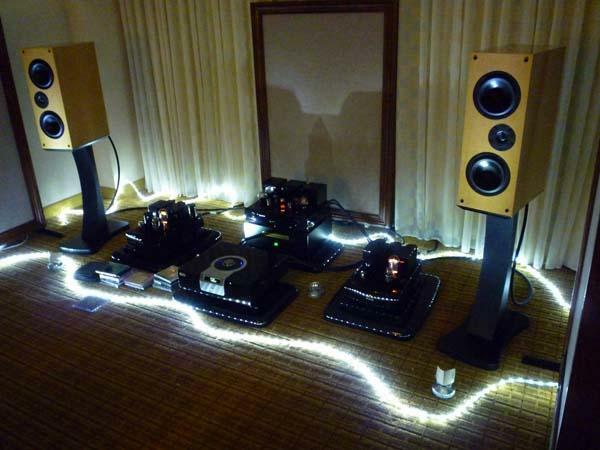 You’d think that everything at a hi-fi show would be listenable, but you'd be surprised. 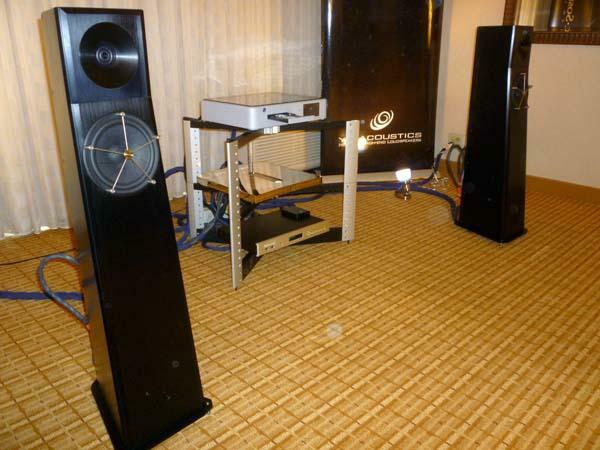 Angel City Audio built a system comprising their Trinity loudspeaker ($6999/pair), Melody Pure Black 101 preamplifier ($4499), and Melody M835 monoblock power amplifiers ($5899/pair), along with an Onix XCD50 CD player and Melody cables and interconnects. 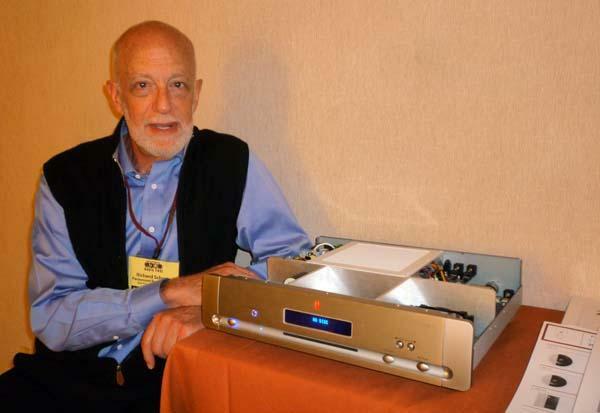 Ron Sutherland was extremely excited about his versatile, new preamplifier. “Want to know what it’s called?” he asked. It was around this point of the show that I started to feel weak and dizzy, overwhelmed by the size of RMAF and disappointed by the lack of truly affordable gear. 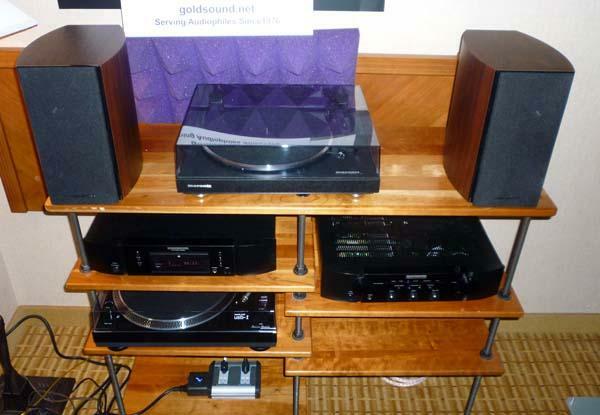 Thank goodness for Gold Sound. 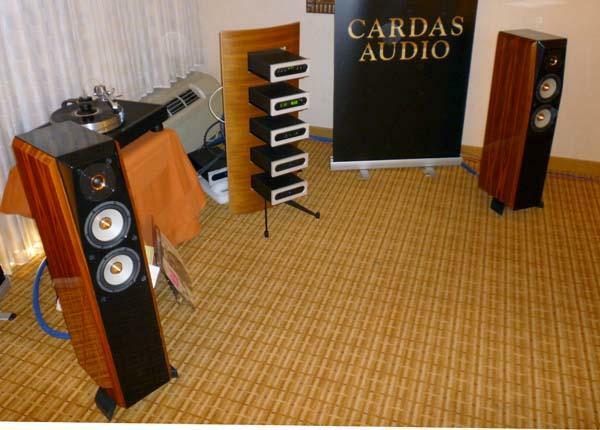 The Colorado dealer had pieced together not one, not two, but five affordable, audiophile systems priced under $5000. In the room presented by Audio Physic, Acoustic Signature, and Trigon, music was sweet and nuanced, played at low volumes, but nevertheless involving and deeply enjoyable. I admired the subtlety of touch, richness of texture, and ease of flow. We listened to a few minutes of One Foot in the Gutter, a live, 1960s recording by the Dave Bailey Sextet, and I swear I could hear the joy and humor in the band’s playing. 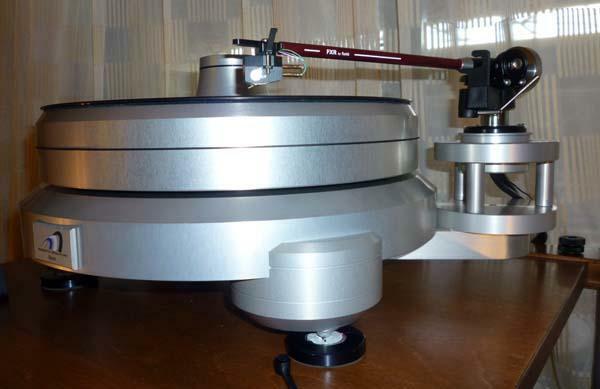 Riding the Acoustic Signature Storm ($7500) was the new FXR II tonearm ($1995) by the Funk Firm. Super cool. 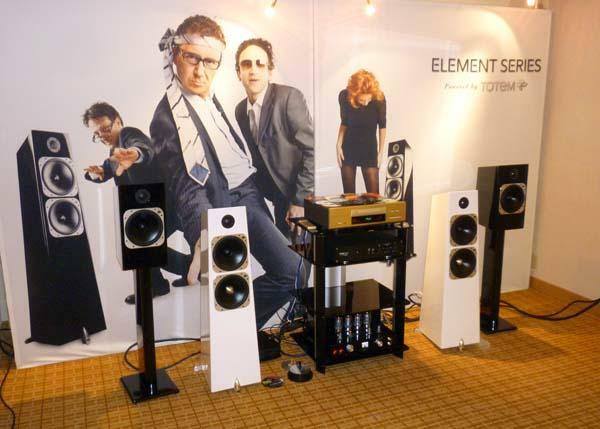 Totem was showing their new Element Series of loudspeakers. 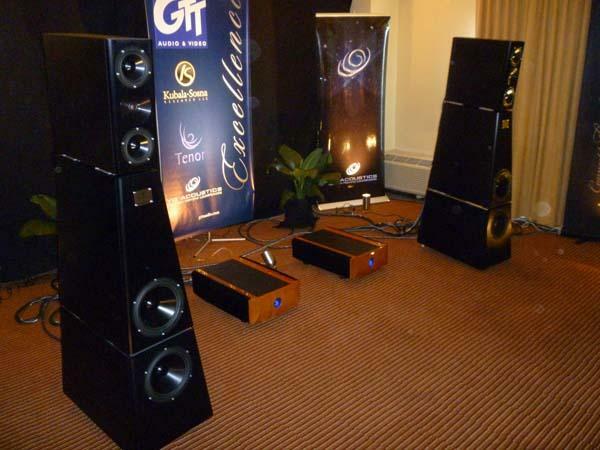 Both the stand-mounted Fire ($6000/pair) and floorstanding Earth ($9000/pair) use Totem’s 7-inch Torrent hand-assembled driver and employ no crossover parts in the woofer section. 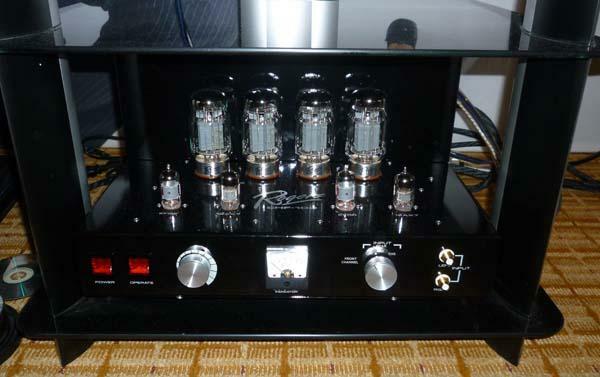 Sound Representation’s affable Jon Zimmer introduced me to the Rogers High Fidelity EHF-100 integrated amplifier ($6000), which was driving a pair of Totem Element Fire loudspeakers. Even as my dear friend Michael Lavorgna lays down the law in the Wild Wild West that is Computer Audio and continues to rid himself of Compact Discs, I find myself more and more attracted to the little silver discs and their associated players. So I was happy to learn about Parasound’s new CD 1, which adds a computer to the conventional CD player. I walked in during “Band on the Run,” and the sound was full of life, energy, and impact. 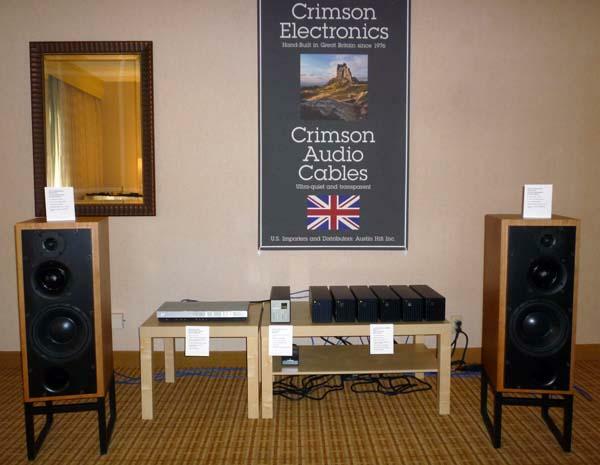 I took a seat and scanned the deceptively small and apparently simple system: 3-way ATC SCM50SL passive loudspeakers ($11,650/pair), each way powered by its own pair of Crimson Electronics 640E Series III monoblocks ($5995/pair), a Crimson Electronics 710 preamplifier ($6995, including phono section), and Resolution Audio’s Cantata Music Center ($6000; reviewed by Jon Iverson in our November issue). All components rested neatly on simple, affordable Ikea Lack stands. Wilson Audio Specialties Sasha loudspeakers, D’Agostino Master Audio Systems Momentum monoblock power amplifiers, Transparent Audio cables, and Peter McGrath handling the tunes via an iPad and Meridian Sooloos MC200 media center. 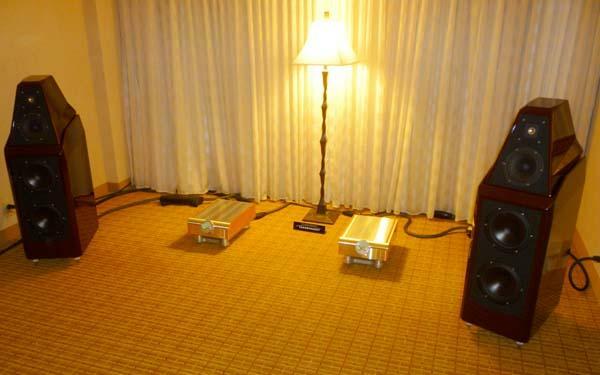 I heard a very similar system in a shoebox of a room at the California Audio Show earlier this year. What a difference a room makes!